Occupational Therapist referrals for private, hospital, residential care and package funded services are attended throughout Adelaide each day. Referrals for Occupational Therapy are accepted from a variety of sources. If service will be funded by a third party, our website includes links to referral guidelines. Our OT service is highly responsive and flexible to meet the needs of the client, carer or family. Urgent requests for assessments are welcome and we can negotiate visits on same day as hospital discharge if necessary. Non- urgent and follow up appointments are generally available within 2-5 days. Individuals can self-refer to our OT services by simply calling our office on 82763355. OT assessment will require all the most up to date medical information from GP and specialist. Please provide this information prior to appointment. Our consults are set rate fee. Any reports, documentation or clincial work additonal to the consult will be discussed and quoted at the appointment. Additonal clinical time is charged at hourly rate. We invoice on a 14 day account and can be paid via direct bank EFT, credit card, cheque or cash. If client is claiming service on private health "extras", the OT consult will be invoiced as items 100 (Initial) or 200 (Subsequent). For information on rebate eligibility, clients should refer directly to their chosen health insurer. Support Coordinators may use the easy Enhance OT download form to refer clients for NDIS funded Occupational Therapy services. Self managed clients are welcome to contact practice to discuss fees and service arrangements. OT assessment and clinical justification will require the most up to date clinical information from GP and specialist. Please forward to practice prior to appointment. The current Medicare funded program allows GPs to prescribe a maximum of five Allied Health consults per calendar year. The eligibility and specific mix of these services are determined by the General Practitioner. The current rebate is $52.95 per service (as at January 2016). On receipt of full payment we are able to submit your claim to Medicare on your behalf. All Medicare funded programs require OTs to provide a written report to the referring General Practitioner at the commencement and completion of a service. Our therapists provide occupational therapy services to the Veteran community via the Rehabilitation Appliance Program (RAP) and can be part of the overall care team for patients who have a care plan under the DVA Coordinated Veterans Care program. 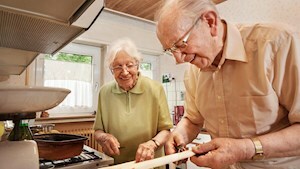 Enhance OT are providers to Home Care Packages (HCP) throughout Adelaide. Coordinators of HCP are welcome to complete an Enhance OT referral form. Our client service team are pleased to provide quality plans and credentials for compliance purposes. Enhance OT provide rehab and home assessment to compensable groups. Case managers are welcome to contact our office regarding referrals for OT assessment or rehabiliation treatment/care plans. Enhance OT provide ADL Activity of Daily Living reports for Mediolegal purposes. Clients or their legal representatives are welcome to contact our practice for pre-referral discussion. Fees for ADL reports are payable within 14 days of report. Consult fee is set rate in accordance with legistlation.